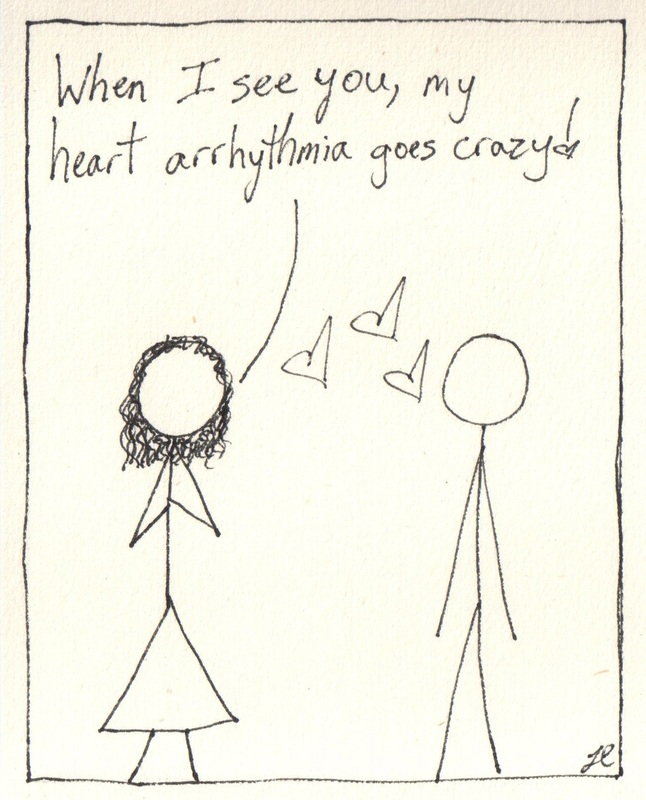 So my husband and I were walking through Kohls and there was this annoying song on that went like "when I see you, my heart skips a beat" and I thought up this comic. If this happens to you, you might want to see a cardiologist. 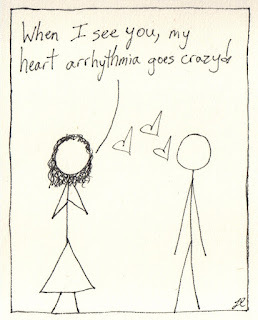 Definition of arrhythmia here.